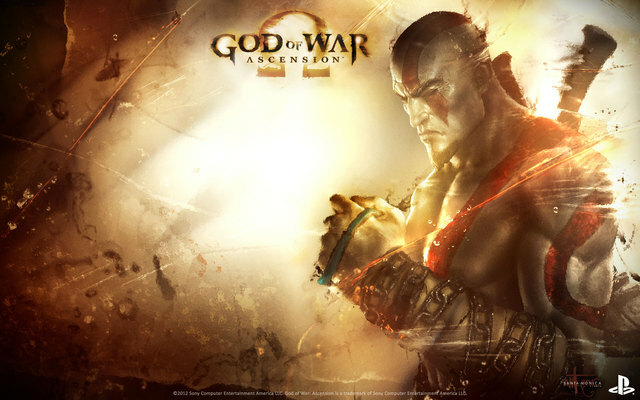 God of War: Ascension is a beautiful entry into the God of War series. The God of War series is a huge franchise with tremendous expectations for every release. God of War: Ascension is the prequel to the God of War series, bringing you back to Kratos' story before the first God of War took place. Ascension kicks off slower than the previous God of War games, but quickly picks up speed. The game throws players into crazy battles that God of War fans have come to know and love. Your main weapon in this game is the Blades of Chaos. The weapon system has been improved by the elimination of all the various different weapons that previous games featured. You are given the Blades of Chaos, and that's all you have. It's a good thing. There are temporary weapons you will find along the way throughout the game, but they don't last very long and most likely you will rarely use them. As you progress through the game, you can purchase power-ups for your blades with red orbs that you collect. These allow you to purchase upgrades for your weapon, such as increasing its strength or unlocking previously unavailable powers. You will have the Fire of Ares, which burns all of your enemies alive; the Ice of Poseidon, which freezes all of your enemies; the Lightning of Zeus, which electrocutes your enemies; and lastly, the Soul of Hades, which will call upon the undead for assistance in combat. Each of these power-ups is very effective in combat, and it would be wise to learn how each power-up can affect Kratos himself. Destroy a foe with the Lightning of Zeus power-up activated, and you will be compensated with blue orbs, which will restore magic in your magic meter. Eliminate your enemies with the Soul of Hades power-up and it will provide Kratos with green orbs, which will restore some of your health. It is very important to make a mental note of which power-ups provide which orbs for Kratos, as you may be in some tight situations where you will need extra health or magic. Graphically, Ascension looks gorgeous. The gore looks bloodier than ever. The environments are breathtaking. The sheer magnitude and stunning views of the world around you will have you just sitting and staring at your screen. Beautiful is a major understatement to how great this game looks. You can see the ash on the skin of Kratos, speck by speck. Yes, the game looks that good! Just like every other God of War game, the soundtrack is exquisite. The tracks match each environment you're in perfectly, while making your pulse race during the excitement of the game's epic boss fights. Each song puts you right in the mood for battle or exploration, and I guarantee you'll have your sound cranked up from start to finish to fully enjoy it. I played this game on normal difficulty, and it had quite the challenge to it. I died many times in battle, and found myself frustrated at more than a few points. But thankfully, automatic checkpoints are everywhere so if you die in a battle, most likely you will respawn right before the battle again. A negative aspect to combat is that there were times when so many enemies were on the screen attacking at once, that I had to resort to button mashing to have any hope of making it out alive. The most difficult thing that I have found about the game is the notorious Trials of Archimedes. Many God of War addicts will be the first to admit, this is the hardest section of any God of War game to date. I agree with these players 100%. It doesn't matter how skillful you are in God of War. In this part of the game, you will die. And you will die A LOT. You must deal with wave after wave of enemies, and it's going to take a lot of patience on your part not to throw your controller. Story wise, the game isn't as intriguing as many thought it would be. The enemies this time around aren't as legendary as Zeus and Ares were. You aren't facing any gods this time around. The amount of blockbuster-type boss battles you encounter in this game, though, make up for it. There are HUGE boss battles that will leave you in awe as you attempt to fell these massive enemies piece by piece. These battles are a sight to behold, but after several of them, it doesn't feel like they are bringing anything fresh to the series. The multiplayer in this game is not something to brag about. I will admit that I am not a fan of multiplayer games, especially in games I feel should be single player only games. When playing multiplayer, you will choose from one out of four gods based on the abilities they can give you. It's easy to gain XP in multiplayer, and with the XP you can purchase various weapon and armor upgrades. With no real reason to stay in multiplayer, and not much replayability after the first few levels of your character, it gets very stale quickly. I don't see myself returning to the multiplayer. There is no denying that God of War: Ascension has its issues, and though it lacks the sheer "wow" factor that previous entries in the series possessed, fans of the series will enjoy the combat, boss battles, and awesome ending enough to be plenty satisfied with their return to Kratos' world.